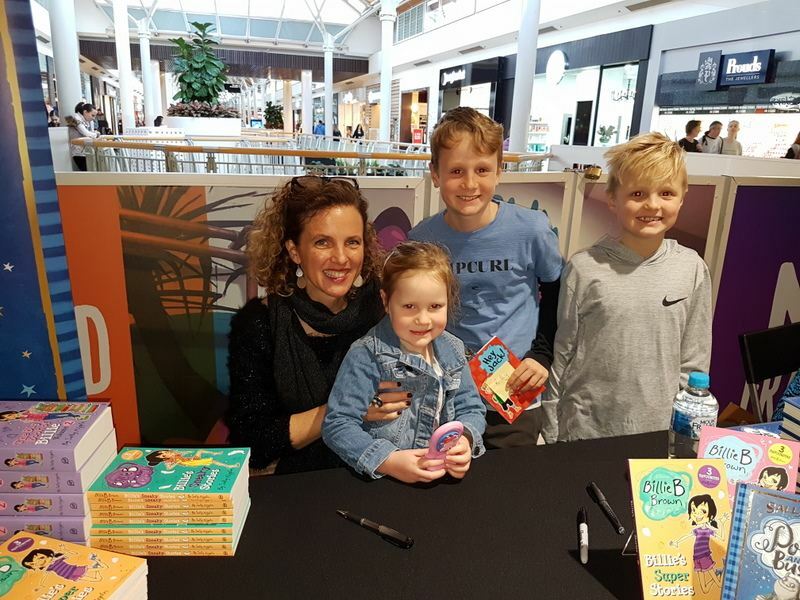 I was thrilled to hear via email while I was in Portugal and also when I returned to school that ‘half of St Martin’s’ turned up to meet author Sally Rippin during the school holidays when she visited Greensborough Plaza! 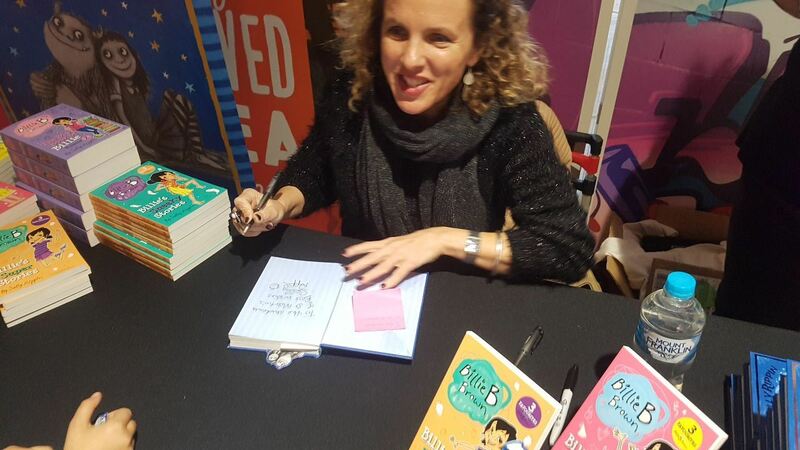 I was told the line was very long and that some people patiently waited for over 40 minutes to meet Sally and have a copy of her new book Polly and Buster signed as their well as much loved copies of Billie B. Brown and Hey Jack! 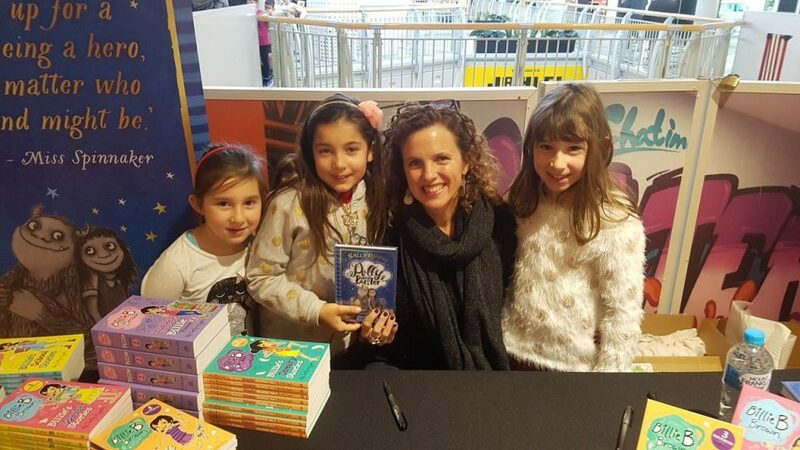 It is always exciting to meet one of your favourite authors and I’m sure that Sally was equally thrilled to meet so many of her readers on the day. 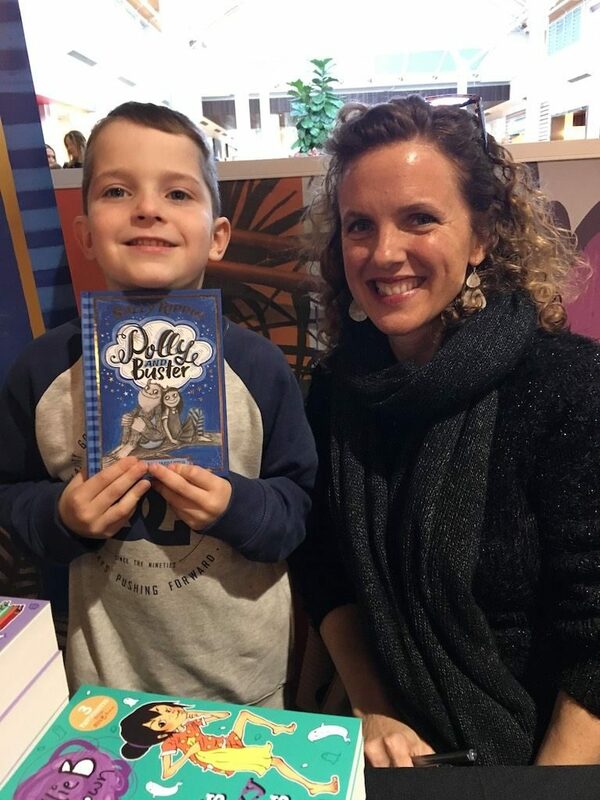 A HUGE thank you to one of our Year 2 students who had our library copy of Polly and Buster signed and was lucky to meet Sally and have her photo taken with her. 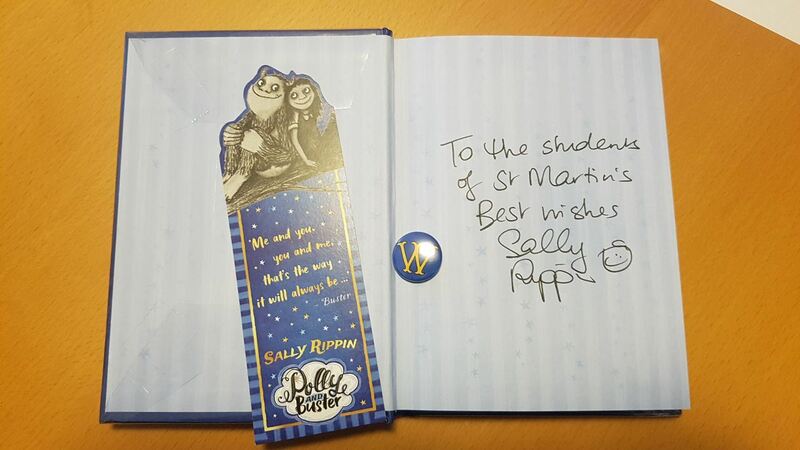 This keen Year One student was first in line to meet Sally. He has been reading his way through the Hey Jack! series this year and is now reading his signed copy of Polly and Buster. 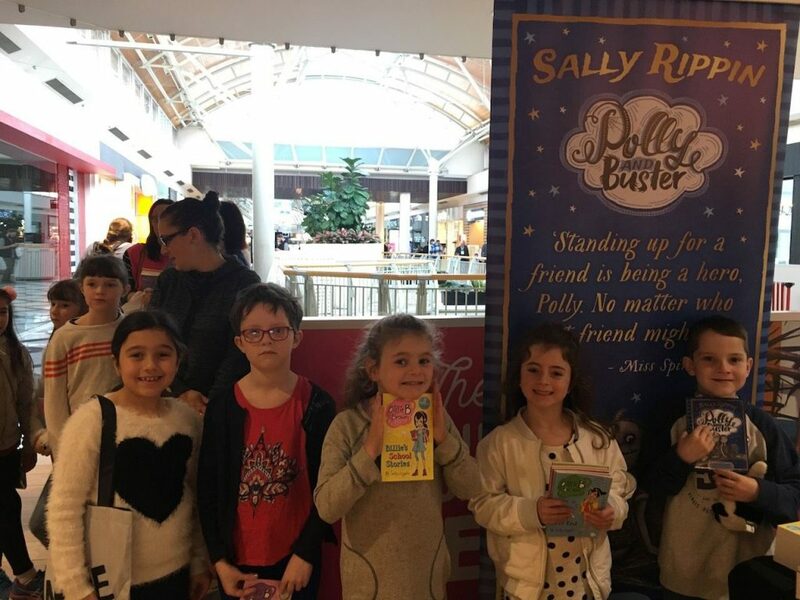 These are some of our excited Year One students lined up ready to meet Sally! Two excited sisters who came along to meet Sally. A family of Sally Rippin fans. This entry was posted in Uncategorized and tagged Polly and Buster, Sally Rippin by smotlrcblog. Bookmark the permalink.